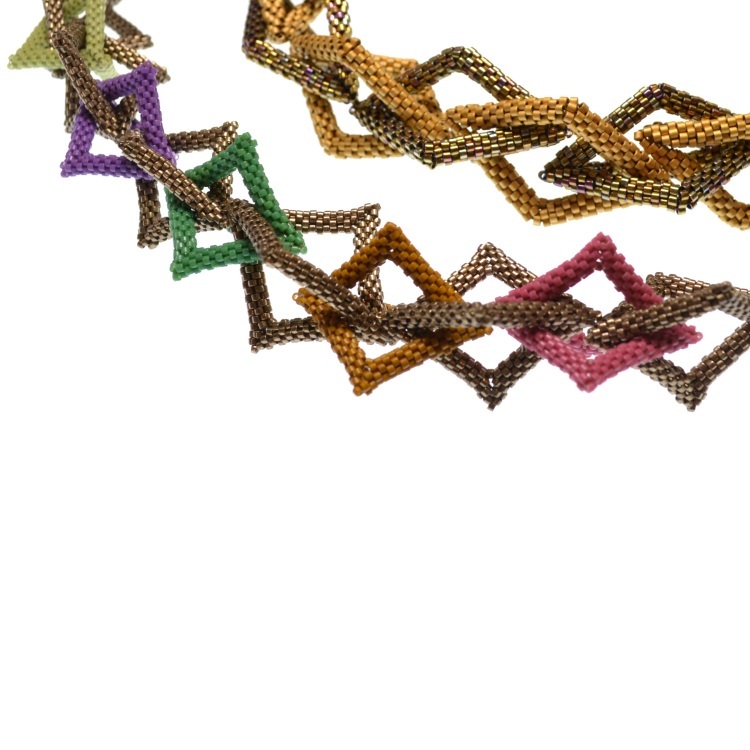 Learn how to bead advanced 3D geometric shapes which are ideal for turning into fully-beaded chains or for using as components in other beadwork. 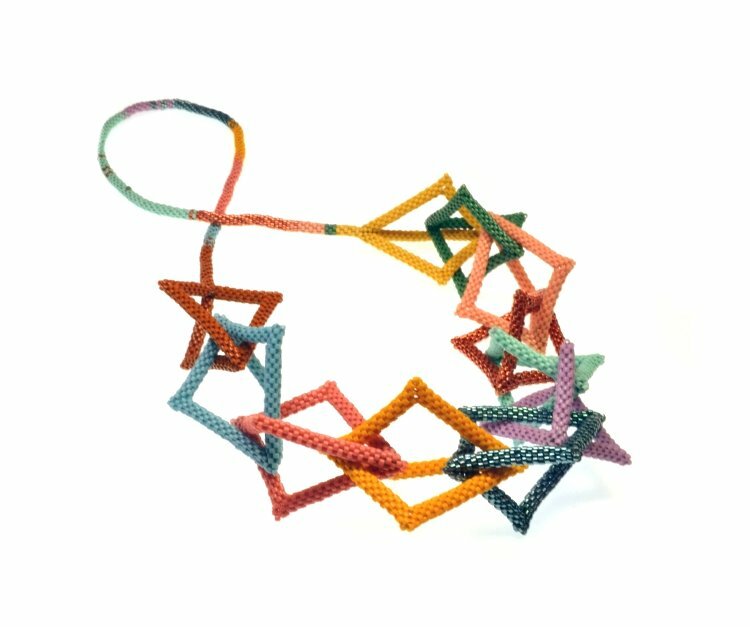 The class will cover the basic method of construction as well as how it can be varied to adjust the geometric shape beaded, and the size and lines of that shape. This is an intermediate class suitable for anyone comfortable with peyote & brick stitch.